Much Wenlock had a workhouse by 1732. It was a stone building on the north side of Downs Lane, just beyond Farley Brook, and in 1776 could accommodate 30 paupers. In 1777, the parish also began renting a house for poor families. In 1780, the vestry stared subscribing to the Salop Infirmary, with an apothecary being retained to attend workhouse imates from 1788. From 1826, a surgeon was retained for the benefit of all the town's poor within a five mile radius. In 1793, all 27 of the workhouse inmates were women or children. The older pauper children were usually apprenticed to Lancashire cotton mills. In 1834, thers were six men, six women and eight children in the workhouse, with the men employed in roadmending. 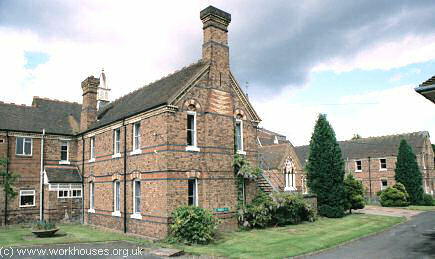 A Broseley parish workhouse existed at Harris's Green from as early as 1734. It stood at Harris's Green at the top of what is now Woodhouse Lane, formerly Workhouse Lane. In 1776, it could house up to 40 inmates. From around 1766, the poor of Madeley were "farmed" by a contractor who operated a workhouse at Madeley Wood by the contractor but the parish took over direct responsibility in the 1780s. A new workhouse was erected on what is now Belmont Road at Brockholes to the east of Ironbridge in 1796-7 at a cost of £1,000. In the early 1800s, Benthall had a parish workhouse or House of Industry at Mine Spout, located in a building dating from the seventeenth century. The property is now a private house known as The Croft. A parliamentary report of 1777 recorded a parish workhouse in operation at Buildwas holding up to twelve inmates. County of Salop: Barrow, Benthall, Broseley (5), Buildwas, Dawley Magna (7), Linley, Madeley (6), Posenhall, Stirchley, Little Wenlock (2), Much Wenlock (3), Willey. The population falling within the Union at the 1831 census had been 22,164 with parishes ranging in size from Posenhall (population 28) to Dawley Magna (6,877) and Madeley itself (5,822). The average annual poor-rate expenditure for the period 1833-5 had been £6,852 or 6s.2d. per head of the population. The Madeley Union initially continued using two former parish workhouses, the one at Brockholes, the other perhaps at Benthall. A union school operated at the former Broseley workhouse until 1851. The main workhouse at Brockholes became overcrowded but the Board of Guardians were reluctant to replace it. Eventually, in December 1868, the Poor Law Board closed down the old workhouse and the Guardians agreed to a new building. 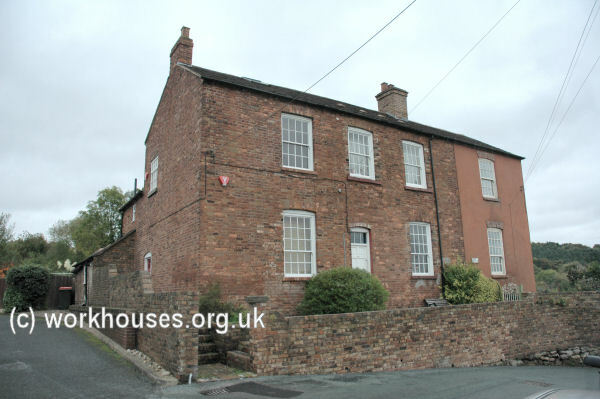 The old building was sold off and converted to housing — what is now 12-14 Belmont Road, Ironbridge. 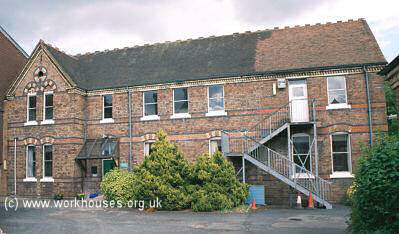 The new Madeley Union workhouse was erected in 1871-5 at a site just to the north of Ironbridge. It was designed by GC Haddon and is thought to be the first workhouse to adopt the pavilion-block layout. It was constructed in pink-brown brick decorated with yellow, red and blue brickwork. The site location and layout are shown on the 1901 map below. The workhouse had a long front block with an entrance archway at its centre. Madeley main entrance block from the north-west, 2001. To its rear, a central pavilion contained a kitchen at its northern end and a chapel at the south. Madeley central block kitchen from the north-east, 2001. Madeley chapel from the east, 2001. The central block was flanked by male and female accommodation pavilions. Madeley from the south-west, 2001. An infirmary, later extended, was placed at the north-east of the site. Madeley infirmary from the south-west, 2001. 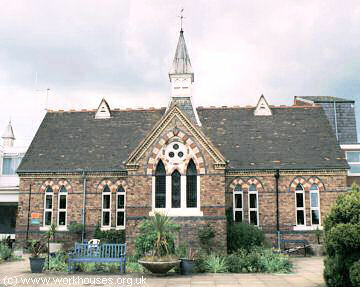 After 1930, the workhouse became the Ironbridge Public Assistance Institution and provided accommodation for the chronic sick and also for cases of epilepsy. After 1948, it joined the National Health Service as Beeches Hospital, then became the Lincoln Grange care home for the elderly. In 2018, after a decade of of standing empty, work began to convert the buildings for residential use. In 1842, the Commissioners investigating the employment and conditions of children in mines and manufactories, discovered that workhouse boys, some as young as eight, were being sent on "apprenticeships" of up to twelve years working in coal mines. As a result, some unions in the coal-mining districts of South Staffordshire and adjacent areas were asked to provide detailed information on the children who had been apprenticed in the mining industry in recent years. Madeley recorded only two such cases, both dealt with by parish officers rather than the Board of Guardians. John Weager, aged 10, was apprenticed in February 1839 to Joseph Bullin, Charter-master of Wolverhampton, until aged 21, with no premium paid. Henry Williams, aged 10, was apprenticed in March 1840, to Henry Pott, collier of Wolverhampton, until aged 21, again with no premium. Shropshire Archives, Castle Gates, Shrewsbury, Shropshire SY1 2AQ. Please note that records may contain gaps or have access restrictions - please check before visiting. Holdings include: Guardians' minutes (1836-1930); Relief order books (1848-1930).